We would recommend you to email or call us (contact us) with your preferred day and time so we can schedule an appointment in for you at our store to avoid wait times, ensuring we give you top priority. Do let us know additional details such as your clothing requirements as well as your timeline. 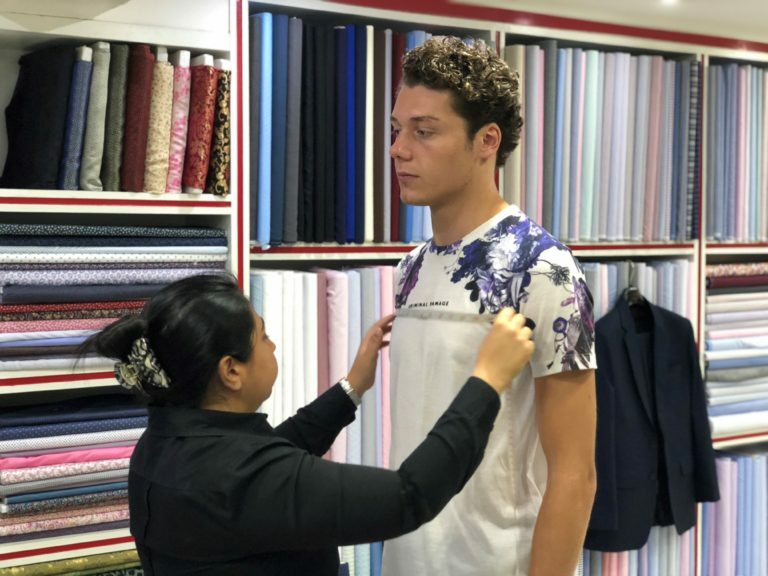 During your initial visit to Jhasper Fashion, you will be personally looked after by Dave or Pinky (read more about us) to guide you throughout the whole pleasurable process of getting bespoke garments that’s perfect for your body shape and occasion! 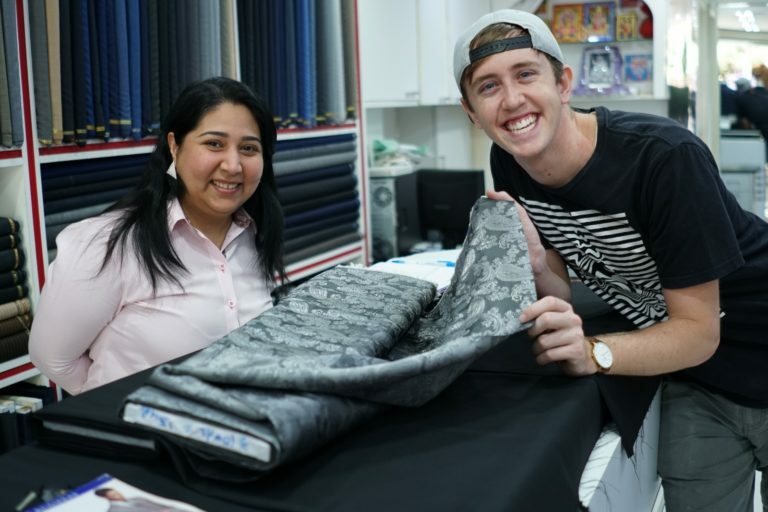 The process starts with selecting the color and quality of the fabric from our wide selection of world class fabrics. 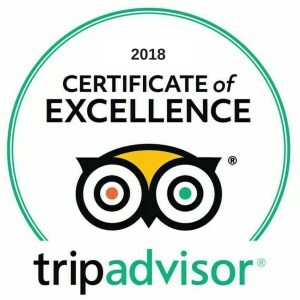 We assess your tastes and preferences and provide you with our expert recommendation as to what will be the best choice for you. 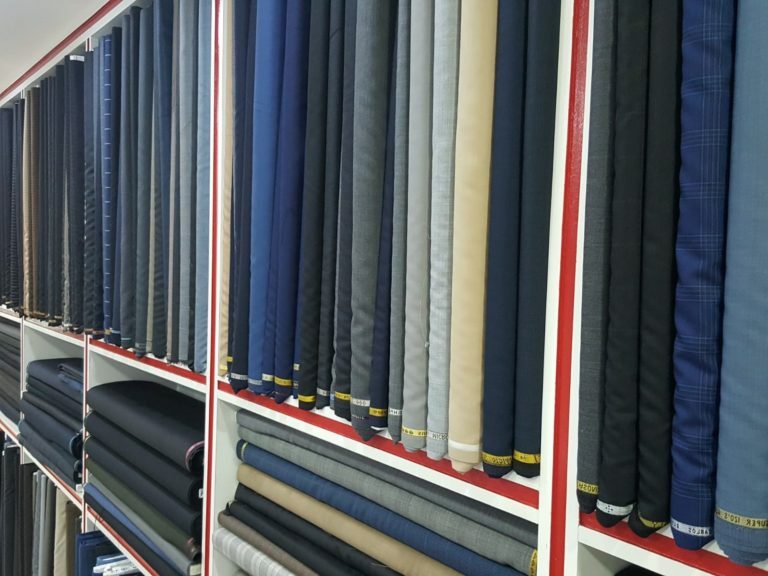 Once you select the fabrics, we will assist you to choose a style perfect for your occasion and/or daily requirement . You will also be able to customize every aspect of your garment (find out more about our bespoke suits & bespoke shirts) so that it speaks for you! For example, you can choose your linings, embroidered initials or full name, buttons, button hole colors, pocket styles, fit etc. We can personalize anything to your preference to make it one and only unique piece custom made especially for you. At Jhasper Fashion, we take over 25 measurements , access your posture, shoulder slope, body shape and more to ensure that we achieve as close fit as possible when we construct your garments (find out How are we different from other tailors). 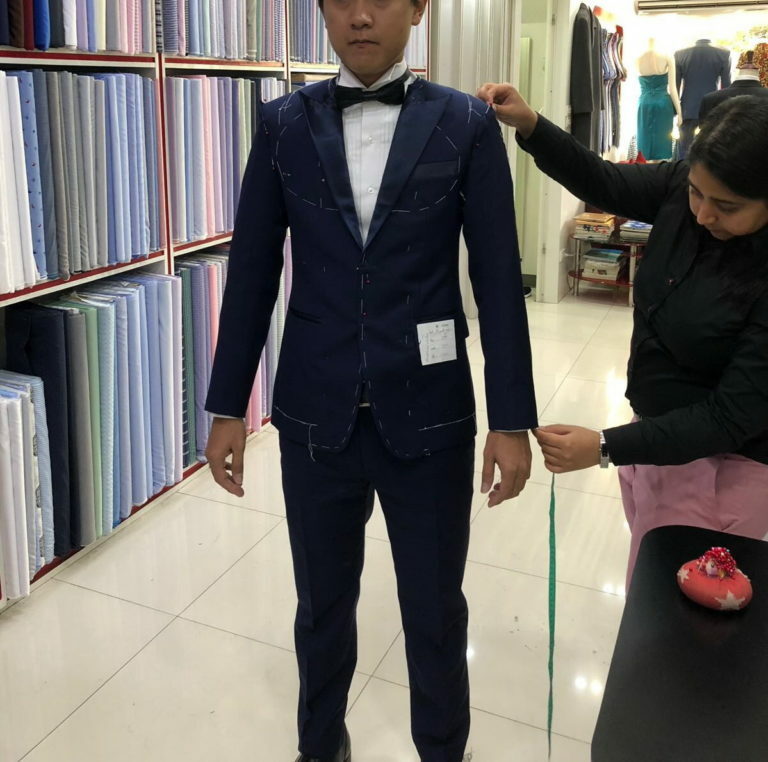 After your initial visit, we then expertly hand-cut each garment type individually to your exact measurements and you will be scheduled to come in for the fitting to try on your clothes which are about 80% complete. Fittings are required to follow your shoulder slants and body curves to provide the best fit and comfort at the same time. We also provide our skilled and expert advice with regard to contemporary style such as sleeve length or pants break over the shoe so that you can look the sharpest in your outfit. At this stage your garments are fully ready for collection. Our team has carefully checked each and every garment to maintain our high standards and you will be adviced for all the washing and caring instructions. 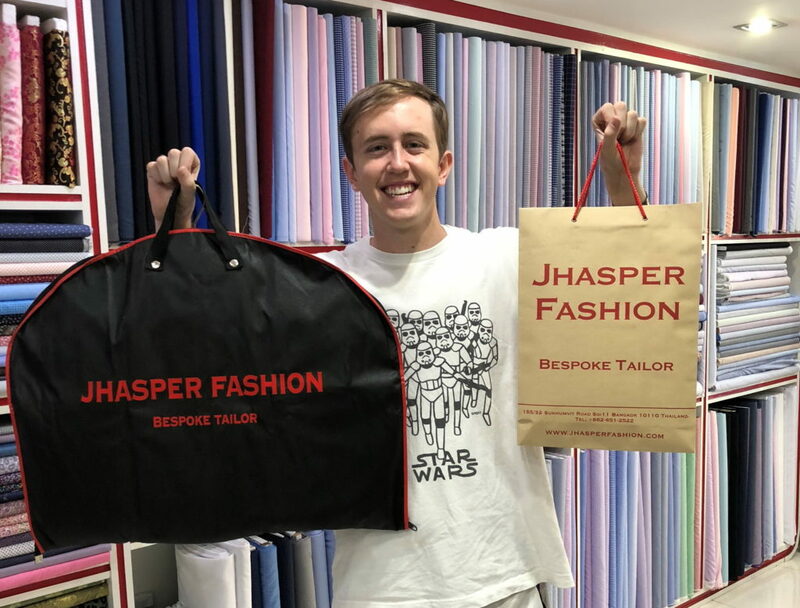 You can be sure to walk away happy with hands full of your new clothing items tailored at Jhasper Fashion.